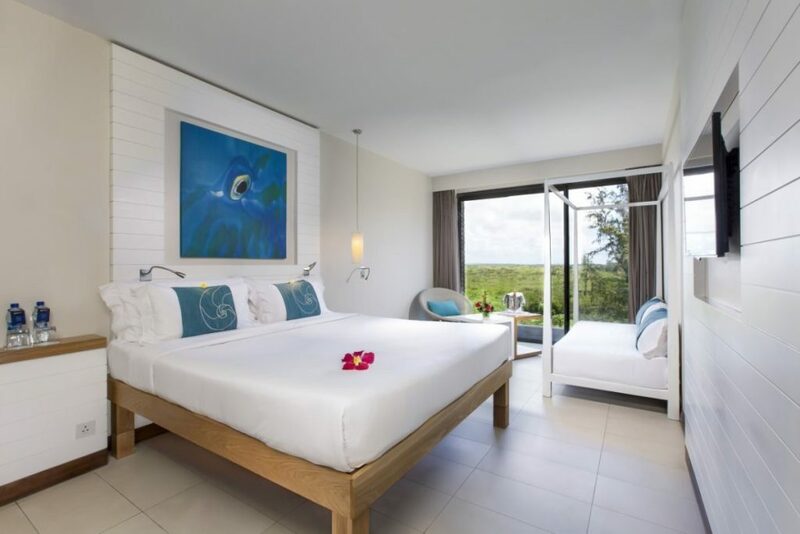 Situated on a gorgeous island in the Indian Ocean, the Radisson Blu Poste Lafayette Resort & Spa, Mauritius offers a serene tropical getaway. 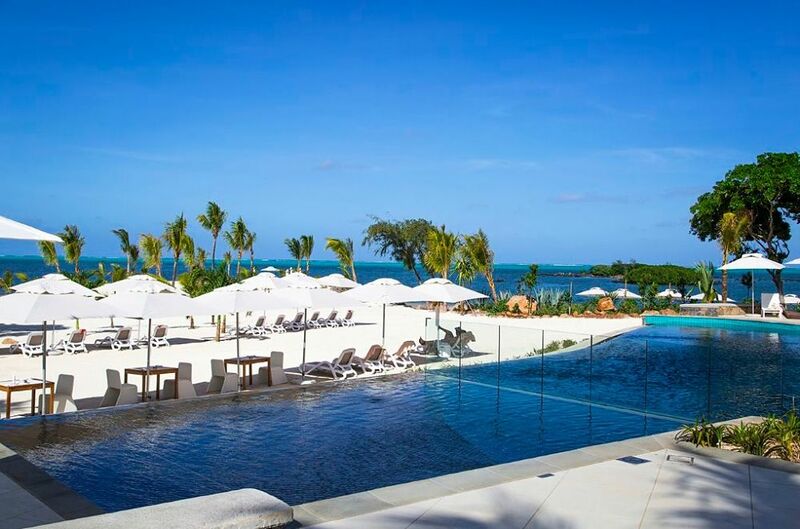 This remarkable adult-only resort on the eastern shores of Mauritius features breathtaking vistas, while the sand and clear aquamarine waters lie just outside the door. Guests enjoy numerous beach activities as well as proximity to local attractions such as the Grand Bay tourist hub and Flacq market. Located on Poste Lafayette’s costal road, on the scenic east cost, the resort is ideally placed to explore all the charms of the island. 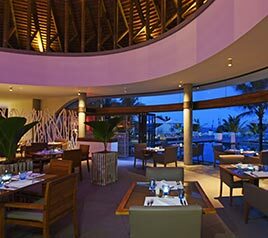 The resort is a one-hour drive away from the international airport. 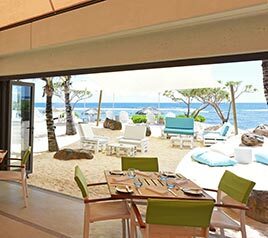 Also in the main building, Superior Ocean Rooms face the Indian Ocean and feature floor-to-ceiling glass doors. Step out onto your Juliette balcony and take in panoramic views of the sparkling ocean. 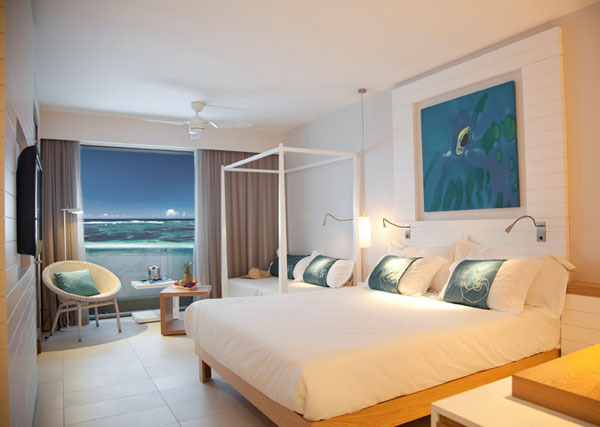 Enjoy beautiful views of nature and the nearby mountain from large rooms decked in clean, simple furnishings and décor. Brew a fresh cup of tea or coffee in the comfort of your room before settling down with your favorite TV program on cozy bedding.